Homemade tortillas are like little works of art—masa, lovingly pressed just so before the discs hit the fire. 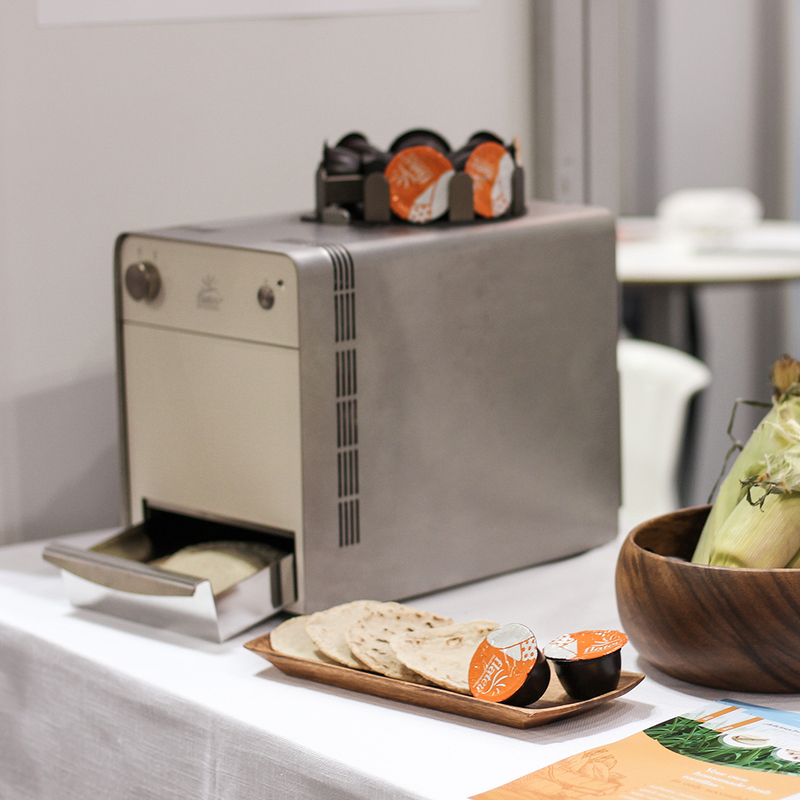 But they can also be works of modern engineering, at least according to Swiss startup Flatev, which has pod-ified the humble flat bread and created a sleek new countertop device that will let people churn out individual burrito wrappers in the comfort of their own home. Automated burrito machines are not new inventions—industrial tortilla operations all over the world use them. Flatev though, utilizes Keurig-like pods in a move that is just the latest in a run of attempts to completely cut the prep work out of our eating and drinking. Cocktails, beer—even ramen has undergone pod-ification. Tortillas seem like as natural a next step as any in the quest for push-button food. From a user standpoint the Flatev machine actually works just like a Keurig. Just insert small pods full of tortilla dough into the machine and let it work its magic. The Flatev punctures the pods, flattens the dough, heats it and spits a single tortilla out of the bottom. A neat trick to be sure, if a bit monotonous —think about the number of pods you’d have to insert to fill out the menu for an entire Taco Tuesday dinner. The other possible drawback is an environmental one. Keurig has taken a lot of heat over the last year for posing a real threat to the environment. The inability to recycle K-cup pods even led an entire city to ban them completely. The makers of the Flatev though, insist they will not have the same problems. According to Co.design, the Flatev team is still figuring out the exact makeup of the pods, but believe it will be more minimal than a K-cup. They won’t be as minimal as a paper bag of masa, but hopefully they will at least be recyclable. And thanks to the outcry over K-cups, should the Flatev take off, people will likely keep a close eye on its environmental impact. So what’s next for the pod revolution? How about cookies? They seem pretty pod-able. Although we’d probably just cut open the plastic and eat the dough with a spoon anyway. Flatevs can currently be reserved and early pricing for the machines is expected between $250-$300.